A week after New Years, Dillon Reservoir, which sits at a little over 9,000 ft (or about 2750m) in elevation is still partially open (as in not ice covered). Little to no snow is to be seen on the hills that surround the lake. By this time of year, they typically display a bright white color of undisturbed snow. The very persona of the region is different, particularly on a cloudy afternoon such as this one. It doesn’t really feel like winter. Yet, it is hard to attribute this scene to any other season of the year. It is still hard to wrap the mind around the fact that at almost the exact same time last year, Central Colorado was getting pummeled, with feet and feet of snow. This isn’t a complete climate catastrophe. There are still people hitting the slopes. But, the conditions are less than ideal. Half the trails remain closed. Some of the ones that are open have sketchy parts, where it is common to encounter rocks, branches, and blades of grass. Also, disappointingly, some of the best places for skiing, in wide open areas where it is easier for snow to blow off the mountain, are simply unnavigable. 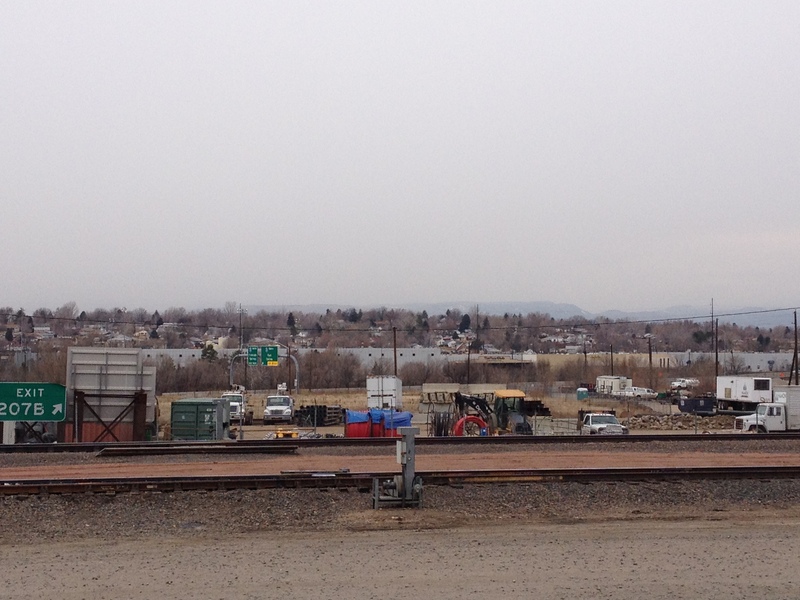 Visual reflections of the warm and dry start to winter show up all over Colorado. The open plains in places like the San Louis Valley, and even South Park (elevation near 10,000 feet) appear all but snow free. The snowpacks on the higher peaks appear shallow and inconsistent. Colorado isn’t the only place experiencing a completely different winter from last year. After a relatively mild winter last year, the Midwestern and Eastern states experienced a complete turnaround at the end of 2017 into the start of 2018. Chicago experienced a record tying 12 day span where temperatures did not exceed 20F (-6C). While cold temperatures crippled a typically vibrant city, on the other side of the lake, the continuous flow of cold air over Lake Michigan produced steady and large amounts of Lake Effect Snow. Accumulating snowfall occurred as far south as Florida, for the first time since 1989! A lot of people who planned ski trips to the Rocky Mountains, or trips to the Southeast to escape the cold are disappointed. Some may speculate as to why, and wonder if this is part of some troubling long-term trend. While it is completely understandable why someone would see bare ground at 11,000 feet above sea level in January and be concerned, it is important to remember that this is just one place, at one point in time. Last year those same places were getting pummeled with snow. Also, at that same point in time, it was snowing in places like Tallahassee and Charleston, cities where it snows less than once a decade! What many are experiencing, when comparing how this winter has begun, with last winter, is variance, in a somewhat extreme form. “Normal” weather, if there is such a thing, is often the result of large-scale weather patterns that vary and progress. This leads to experiences like two rainy days in a week, periodic snow in the mountains, or temperatures ranging between 15 degrees below and 15 degrees above the long-term average. Essentially, what people expect. The start of 2018 is an example of a period of time when the weather pattern had become persistent. These are the times when extremes are experienced. The persistent pattern at the start of 2018 kept most of the west warm and dry while driving cold air, straight from the arctic right into the eastern half of the continent. Likewise, one year ago, there was also a persistent pattern – one that looked quite different, and produced different extremes. One year ago, a strong jet off the Pacific Ocean formed, transporting large amounts of moisture straight into California, Utah, and Colorado. These storms played a large role in ending a long-term drought in California. None of this is to dismiss the adverse effects of either extreme weather events or long-term trends in temperature or precipitation. If the mountain tops of Colorado remain dry, it could have an adverse effect on the water supply in many place in the west, and could also indicate high fire potential next summer. Likewise, a changing climate is something that needs to be dealt with. However, it should be dealt with in a manner that is appropriate, which means considering data on a larger scale, and multiple perspectives before taking action. While outdoors, experiencing conditions both normal abnormal, the only thing that can be done is to dress appropriately, try to ski around those rocks and branches, and pause to take in the experience while it is happening. This entry was posted in Colorado, seasons, Skiing, weather, winter activities and tagged Dillon Reservoir, January, skiing, snow, weather, weather extremes, winter on January 8, 2018 by Stephen Jaye. Although we talk quite frequently about “seasons”, the concept of a season is actually far more abstract in nature than the manner in which it is typically discussed. Consider this: while the most frequent discussions of seasons refers to a portion of the calendar year, a “season” can also mean a series of sporting events, TV shows, or plays, or even a chapter in someone’s life. I’ve personally been involved in “seasons” that have lasted as short as three weeks, as well as “seasons” that persisted longer than a decade! Even when referencing a “season” in its most common manner, to reference a portion a year, there is significant variance in how it manifests. For a lot of people “seasons” means winter, spring, summer, and fall. However, there are parts of the world where the year is far more accurately broken out into a wet season and a dry season. Others even create seasonal references based on specific considerations, such as “mud season” or “typhoon season”. In a way, every group of people has developed their own way to reference seasons, based on their lifestyle, location, and interests. While some groups of people have defined specific dates for the start and end of each season, for most, a season is more of a feeling. There are plenty of years, where, on a day like March 25th, someone in Minnesota may feel as if it is still winter for them while someone in South Carolina may feel firmly into the Spring season. Likewise, year to year variance has made November in Colorado feel like winter in some years, but feel like early autumn in others. For winter as a season, just like a season for a sports team, or a chapter in one’s life, it matters less when the technical mid-point is defined. It is more significant to reference a middle section, or a “hey-day”. This is the period of time after most people have fully adjusted to the season, but before the end is in sight. In the Central Rockies, this is the time after most skiers and boarders have worked out their early season jitters, (and the resorts have gotten pretty much all of their trails open, which usually takes until January) but before spring becomes eminent. It is at this point in the season, where, I believe, skiing actually becomes more fun! First of all, snow conditions get better. As winter progresses, the snow pack gets deeper and more consistent. It becomes far less likely to find bare spots, which often form in the areas where skiers and boarders make turns around trees, or in open areas where wind can blow a lot of snow around. Also, as winter progresses, temperatures begin to warm (making it more pleasant), and the sun stays out a bit longer. There are plenty of places in the Central Rockies, like Vail, where, according to local CO-OP data, December is actually the coldest month of the year. With mountains blocking the afternoon sun, in December, many of the ski trails become completely shaded sometime around 2:30 P.M. By the final weekend in January, the sunset is about 45 minutes later, and the sun angle is higher, adding roughly an additional hour before the trails become completely shaded. This is the start of the best of the best, the best time to ski at some of the best ski resorts in the world. The trails are all open, the sun is shining upon us, skiers and boarders are doing their best skiing and riding of their lives, and towns are celebrating with additional winter fun. When a “season” is a positive one, like a fun ski season, a good music or sports career, or even a very positive experience at a University or a job, there really is nothing like that period of time in the middle. Everything starts to feel right. We begin to move about our days and activities with a greater efficiency, and, in some cases make a lot of progress in a short period of time. Memories are being created, and, in most cases, we are making gains in the all important battle for our own individuality and/or sense of self worth. We’re at our best! But, alas it cannot last forever. The happiest and the saddest, the most reassuring yet the most unnerving thing about the world is the fact that all things have a beginning and an ending. Even the greatest of experiences must come to an end, as, well, continuing to do the same thing will eventually lead to stagnation, and a creeping feeling of dissatisfaction. The only thing we can do in periods like this is be greatful that the “season” we are currently in is an enjoyable and/or rewarding one, and do our best to make the next one positive as well. 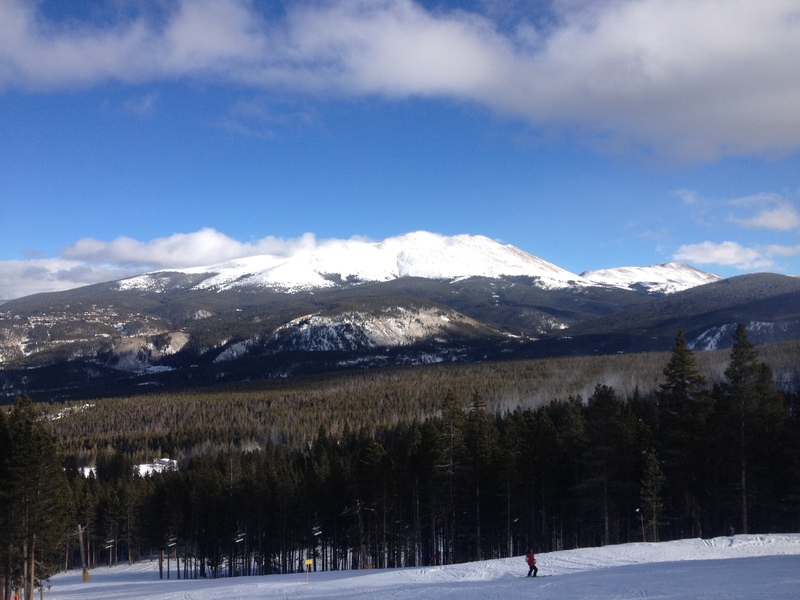 This entry was posted in Colorado, seasons, Skiing, weather and tagged Breckenridge, Colorado, keystone, life experiences, mid-winter, seasons, skiing, snow, Vail, winter, winter sports on January 31, 2017 by Stephen Jaye. There is such thing as too much of a good thing; too much food, too much exercise, even too much water! While stories about people dying of water poisoning do exist, most people will experience dehydration, or too little water, many times throughout their lifetime. Few people experience hyponatremia, or water poisoning. So, health advocates rightly focus on advising the population to drink enough water. The same can be said of snowfall in towns like Crested Butte, Colorado. Like many ski towns, Crested Butte’s livelihood is at least partially dependent on receiving ample snowfall to produce good ski conditions. So, it is rare to actually hear people in a town like this say that the wish for the snow to stop. But, that is exactly what happened, after the town received close to 100 inches of snow (half their annual total) in a ten day period. In fact, at one point, the ski resort actually had to close due to too much snow! In a way, this is like the ski resort version of water poisoning. After a couple of quiet days, 2017 has begun on a crazy note for the Western United States. A steady stream of storms, transporting moisture from the Tropical Pacific Ocean directly into the California Coast, transformed a drought stricken state into a deluge of floods and swollen rivers in only a few days! These storms followed similar tracks eastwards, producing heavy precipitation in parts of Colorado, Idaho, Utah, and Wyoming. For the first two weeks of 2017, Crested Butte received close to eight times their normal precipitation amount! By Friday the 13th, the snow had slowed down, but hadn’t stopped. Over Martin Luther King Day weekend, each day the weather followed a similar pattern. Light snow would fall overnight, providing a few inches of new snow, and would linger into the morning. This would be followed by somewhat of a fuzzy period, where the sun appeared to be trying to come out, but fighting some kind of battle against low clouds which would reduce visibility on some parts of the mountain. This is a battle that the sun would eventually win after an hour or two of these in between conditions. Crested Butte provides an interesting ski experience. 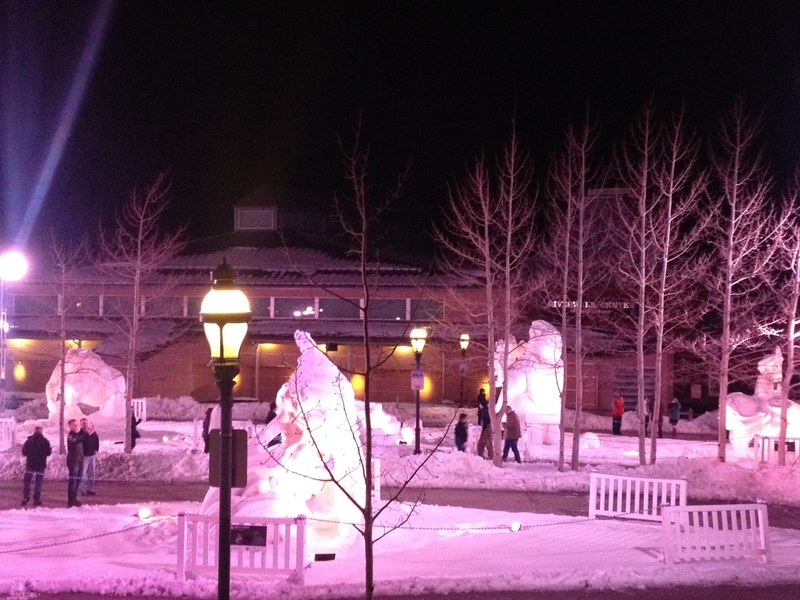 By size, it is significantly smaller than places like Snowmass, Steamboat, and Copper Mountain. However, all different types of skiing can be found here, from groomers (although, with limited visibility for much of the day, conditions were not quite optimal for those true speed demons out there) to glades and bumps of all different kinds, sizes and steepness. For advanced skiers and boarders, Mount Crested Butte is a must do! It is possible to hike all the way to the top of Crested Butte’s signature mountain. However, the Silver Queen Express lift provides access to all but the uppermost 287 feet of this peak. The journey down the mountain starts out wide open, but eventually winds through a series of challenging glade (dense tree) areas, both pine and aspen. Gazing back at the mountain, I felt as if I had just skied down something from one of those extreme sports videos that is often shown in loops at ski shops promoting the Go Pro camera, or at some film event. Crested Butte markets itself as having small crowds and short lift lines. This was definitely true on Friday. 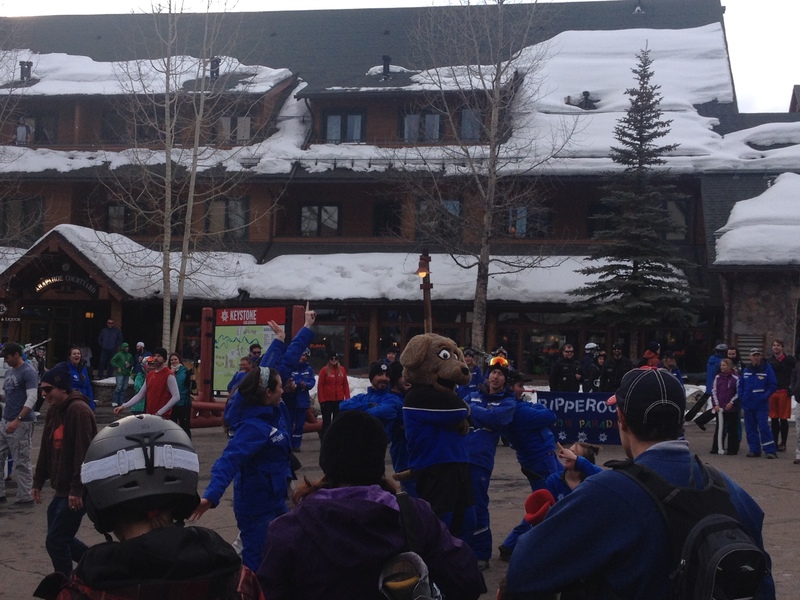 However, Saturday, the crowds began to build, and lift lines, uncharacteristic of Crested Butte, built fast. At one point we ended up waiting 25 minutes in a lift line. The combination of the extreme snowfall at this particular mountain, and the holiday weekend (MLK Day) likely drew an unprecedented number of visitors to the resort. Smaller, out of the way mountains like this one probably typically do have short lift lines. But, with less capacity than some of the bigger resorts, increases in traffic on exceptional weekends like this one can increase wait times at lifts quicker. Geographically, Crested Butte has a different setup that many other ski areas. Unlike places like Breckenridge and Park City, where the town is directly adjacent to the ski resort, the main area of town is actually roughly six miles from the resort. The settlement adjacent to the ski resort, which consists primarily of lodging, is referred to as Mount Crested Butte. This setup works out a lot better than one would expect. We stayed at the Grand Lodge, which is nearly adjacent to the base area lifts. The Lodge offers spacious rooms that contain amenities like refrigerators, microwaves, a hot tub and a spa. There is a restaurant on the main floor of the hotel and several other eating options at the base of the mountain, which is only a two minute walk away. Those who prefer to relax in the evenings can stay nearby. For those that want evening activities, there is a free shuttle from the base of the ski mountain into town, where there is plenty going on. Walking along Elk Avenue, the main road in town, plenty of people can be found, going to bars, restaurants, shops, events and festivals. Based on all of the posters, window decals, pamphlets and signs everywhere, there seems to always be some kind of event going on in town. Crested Butte can also be described as “artsy”. Saturday evening’s artwork was highly recommended by local residents. In the vicinity of 3rd and Elk, it felt as if every third or fourth building was some kind of an art gallery partaking in the artwalk. In fact, the large amount of snow piled between the sidewalk and the road provided one artist with the opportunity to gaze upon the town, and paint it, from a slightly different perspective. 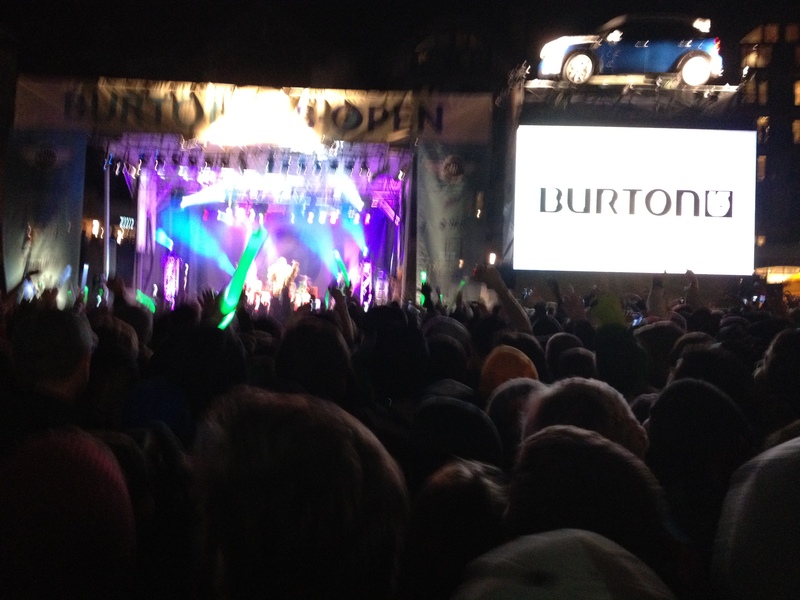 Crested Butte was at both its best and worst this weekend. The snow conditions were amazing, and temperatures were actually quite comfortable the entire time. However, the capacity, both with regards to the ski lifts, and for the town to remove snow from streets, buildings, and cars, was overloaded. Still, people went about their business, created and sold their artwork, partied in the hot tubs and at the bars, and kept a smile on their faces. After this weekend, an accurate description of what a “normal” weekend in Crested Butte is like cannot be provided. But, we don’t travel looking for “normal”. We travel for an experience. One that is different from what our day to day lives are. This holiday weekend in Crested Butte was definitely a unique experience, due to the place that we visited as well as the exceptional conditions. 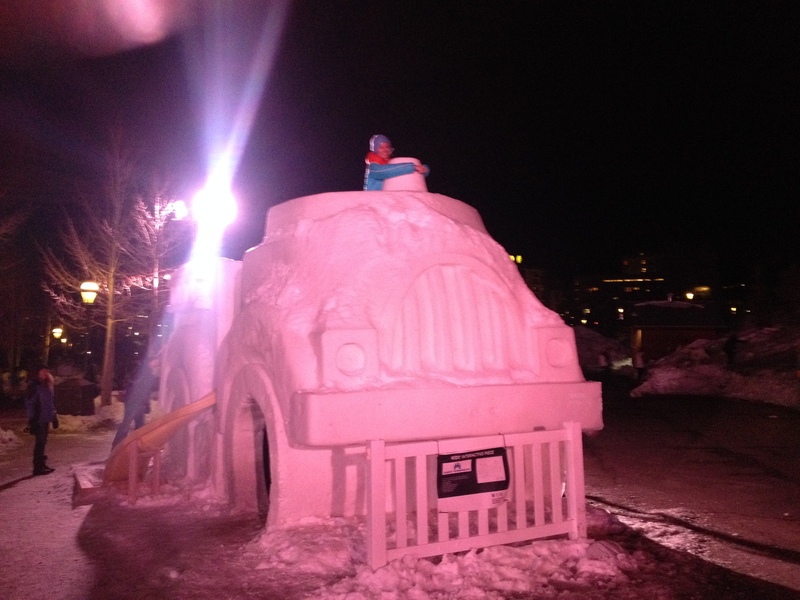 This entry was posted in Colorado, local culture, Skiing, weather and tagged 2017, Crested Butte, extreme snowfall, Mount Crested Butte, ski vacations, skiing, snow, travel, weather, winter, winter weather on January 16, 2017 by Stephen Jaye. Forecasting the weather weeks to months ahead of time can often be problematic. Computer models that project atmospheric conditions into the future typically only provide utility out to 10-14 days, depending on who you ask. After that, forecasts often become erroneous due to what is often referred to as the “chaos effect”. In fact, there are many that believe that forecasting the weather for a specific day is only useful out to roughly 7-10 days. Most people manage their weather expectations beyond the 7-10 day horizon not by forecasting a specific event, but by describing more general expected trends. It is more common to say something like “It is likely that the period from 14-21 days out will be warmer and drier than normal across much of the Western United States”. Scientifically credible seasonal forecasts tend to rely on larger scale phenomenon that have been shown to impact our weather in the past. Luckily, for this upcoming season, the winter of 2015-16, there are two such phenomenon that could give us some significant foresight into what we could expect out of this coming winter. 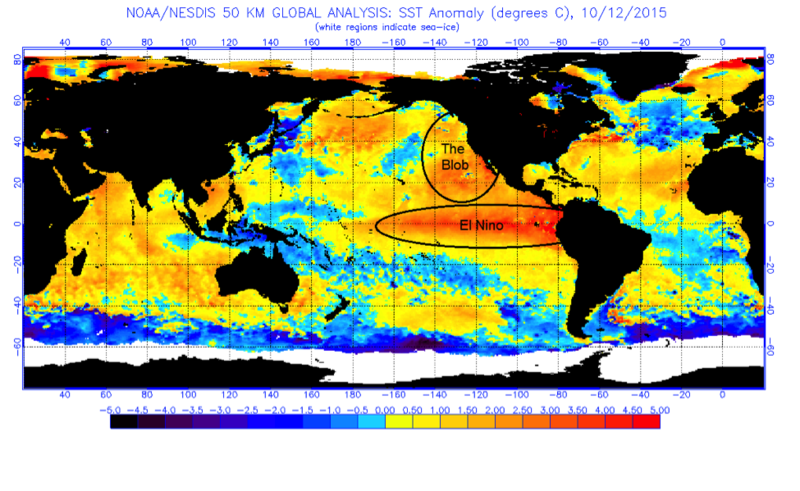 The first, and most obvious one is the strong El Nino that is already underway. Strong El Nino conditions typically bring wet weather to the Southern United States due to a strong sub-tropical jet stream. In particular, California can be the recipient of some heavy rainfall, which hopefully can help give the state some much needed relief from the extreme drought conditions than have been experiencing. The other major impact, on a national level, is that the Upper Midwest and Northern Plains tend to have milder than average winters during strong El Ninos. Unfortunately, maps like this one often make it ambiguous as to what impact El Nino typically has on the weather here in Colorado. On this map, as well as nearly every map of El Nino impacts, Colorado is in kind of a neutral zone, where areas to the south are wetter than usual, and areas to the north are drier than usual. However, as any resident of Colorado knows, Colorado’s rugged terrain has a significant impact on the weather here. Therefore, it is possible to discern some more local impacts that occur here in Colorado, as different large scale wind patterns are impacted by Colorado’s many mountain ranges. 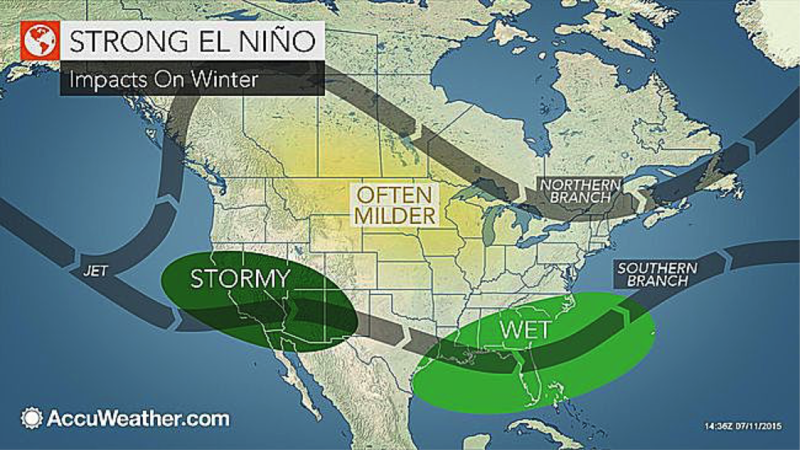 There are many sources of information regarding how Colorado fares during a strong El Nino year. Below is a graphical summary of these impacts. In addition to El Nino, there is another major weather feature that could have a profound impact on our weather this winter. Not only are there warmer than normal ocean temperatures along the equator associated with the strong El Nino, but there is another section of extremely warm ocean temperatures in the Pacific Ocean farther north. This section of warm temperatures off the west coast of North America is being labelled “The Blob”. “The Blob” formed due to a persistent period of warmer and drier weather over the past several years. This is the weather pattern that lead to the extreme drought in California in the first place, and, now threatens to keep much of California in drought conditions despite the El Nino. The easiest way to describe the impact “The Blob” is going to have on our winter weather is that it is going to try to produce conditions similar to last winter. Last winter was warm and dry over much of the West due to a persistent ridge, labelled “the ridge of death” by snow enthusiasts at OpenSnow, which is often associated with warmer sea surface temperatures off the Pacific Coast of North America. While it is hard to imagine “The Blob” completely overwhelming the impacts of this historic El Nino, it does have the potential to modify them. Firstly, it could make the Pacific Northwest drier, and reduce the amount of rainfall California receives, particularly Northern California. Over Colorado, more frequent ridging, and/or dry Northwesterly flow aloft will reduce the likelihood of major Front Range upslope snowstorms, and increase the likelihood of a drier than normal winter over parts of Central Colorado, including many of the major ski resorts such as Vail, Breckenridge, and Copper Mountain. Those who hate extreme cold, though, will be comforted by the fact that the likelihood of sub-zero conditions across most of the state will be significantly below average this season. 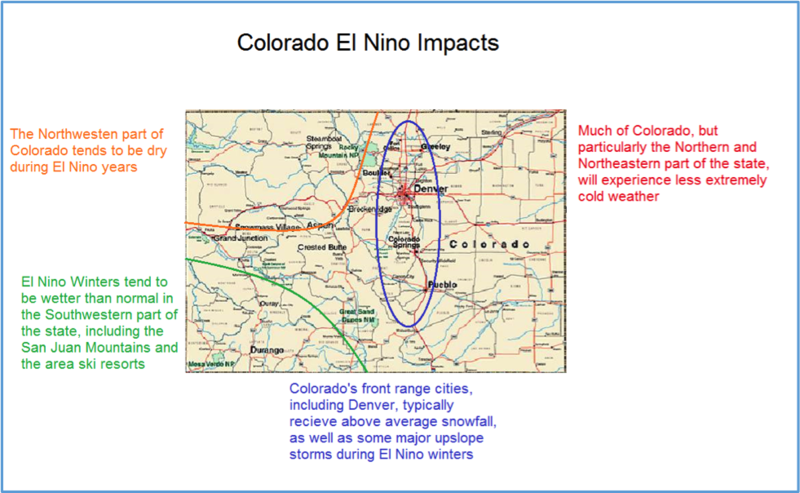 This entry was posted in Colorado, seasons, Skiing, weather, winter activities and tagged EL Nino, seasonal forecasts, seasons, ski season, skiing, weather, weather forecasting, winter, winter 2015-16 on October 14, 2015 by Stephen Jaye. Winter fun in the mountains is about more than just skiing and snowboarding. People who take wintertime vacations are typically drawn to one of two categories of vacations; Vacations people take to escape winter, and vacations people take to enjoy winter. The former includes tropical resorts and beach towns in places where a 45 degree evening is considered grounds for remaining indoors. The later, of course, typically involves mountains, with skiing and snowboarding being the most common activities. In North America, the winter fun season lasts generally from the later part of November through the end of March. Based on anecdotal evidence (the people I know and have talked to), the peak time to visit the mountains in winter occurs sometime around the middle part of February. By this particular part of the year, enough snow has generally fallen to produce some of the best snow conditions of the year. Also, temperatures have recovered a bit from their mid-January lows, and are a bit more pleasant. With all of the visitors, not only from all over the country, but from all over the world, other events, and other activities are bound to follow. 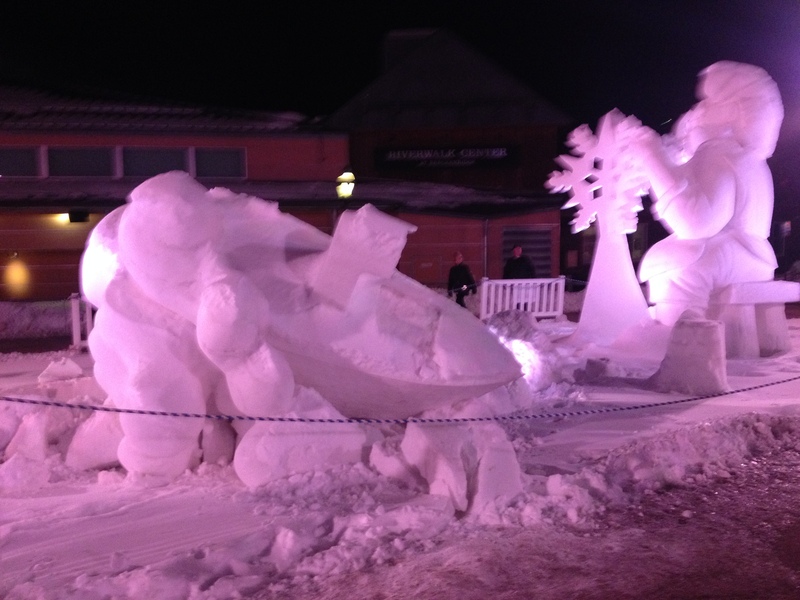 In the middle of winter every year, the Village of Breckenridge hosts the International Snow Sculpture Championships, which features snow art from artists from various places around the world (from local artists, to places as far away as Argentina). 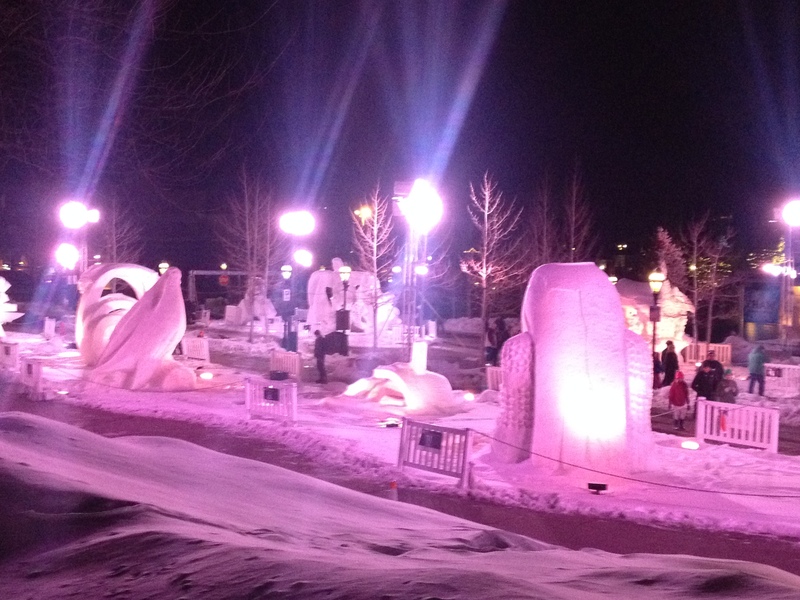 These sculptures can commonly be viewed the final week of January through the first week of February. 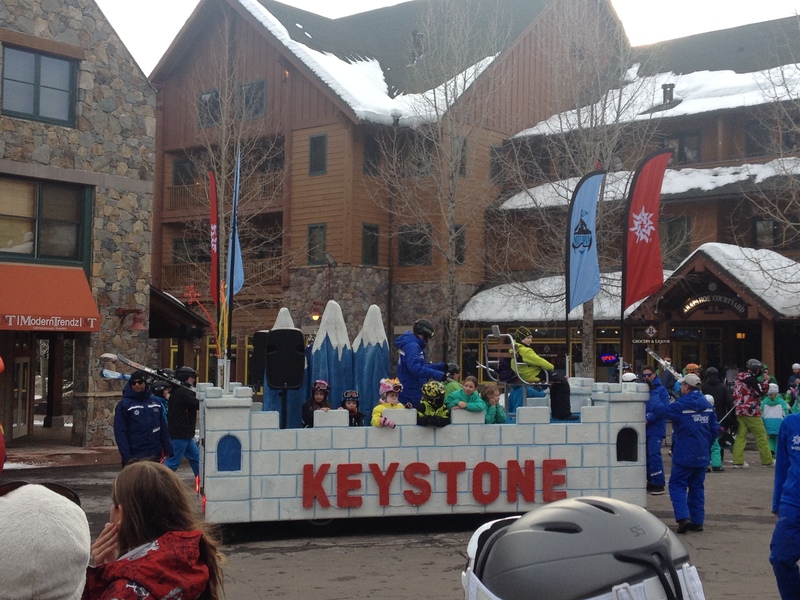 Events in the middle part of the winter also include family activities, Mardi Gras celebrations, and random parades through the village, such as this one at Keystone, which features Riperoo, the mascot for Vail Resorts, which owns eight of the top Western U.S. ski resorts in California, Colorado, and Utah. And the events that take place in the ski villages throughout the peak part of the ski season are not just limited to family friendly activities. 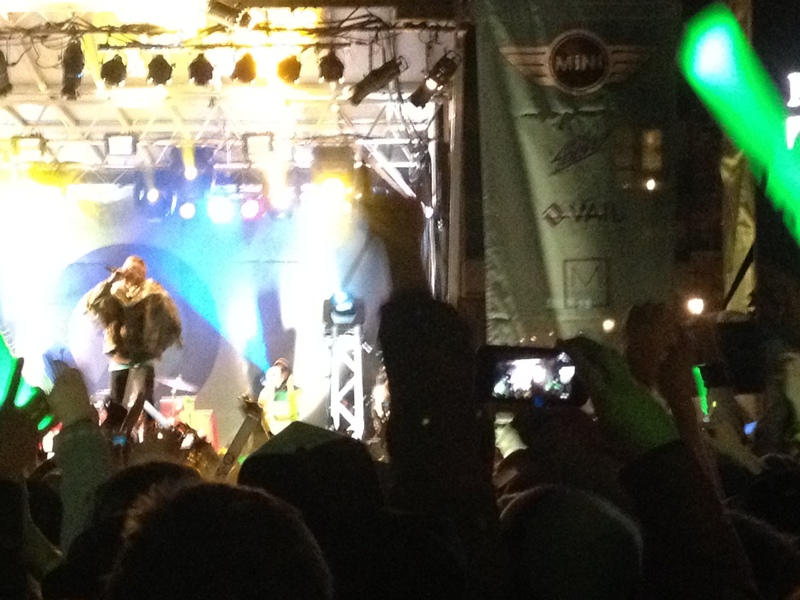 With the number of visitors that come to the area, high class villages like Aspen, Jackson, or Vail, are able to draw some fairly well known acts to preform during the evening. Those with enough energy can ski all day long, and party all evening in many of these western villages (although there might be a limit to how drunk you can get in Utah). There is even a T-shirt commemorating this type of day. While the ski resorts themselves are the main draw, and the main reason there are as many visitors to the mountains as there are at this time of year, wintertime activities are not limited to only the resorts and the villages that support them. 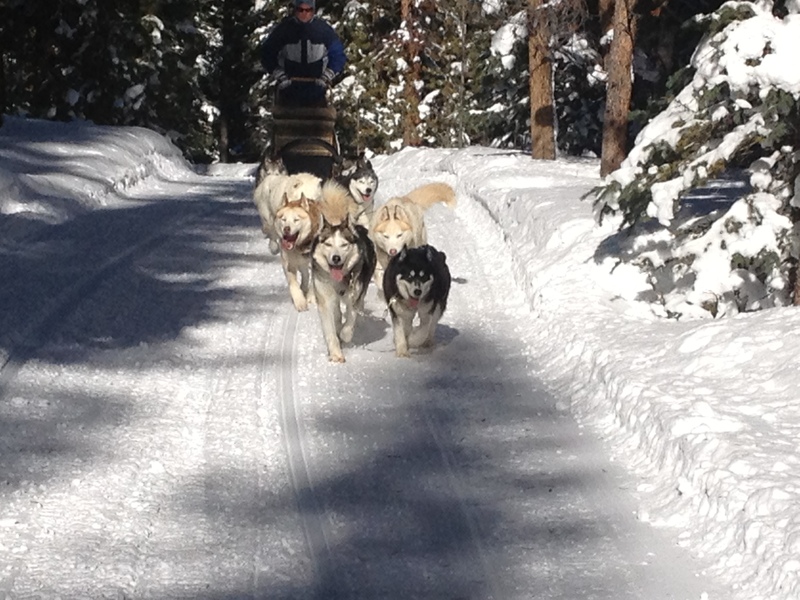 As I wrote about last year, there are plenty of outfitters in the mountains that offer dog sled tours. Many of these outfitters also offer snowmobile rentals and tours, and many are quite close to ski resorts and resort villages. Due to geographical features, it is not hard to find hot spring throughout the West. One of the most popular hot springs in the country, Strawberry Park, is located in Steamboat Springs, less than 10 minutes from the ski resort. 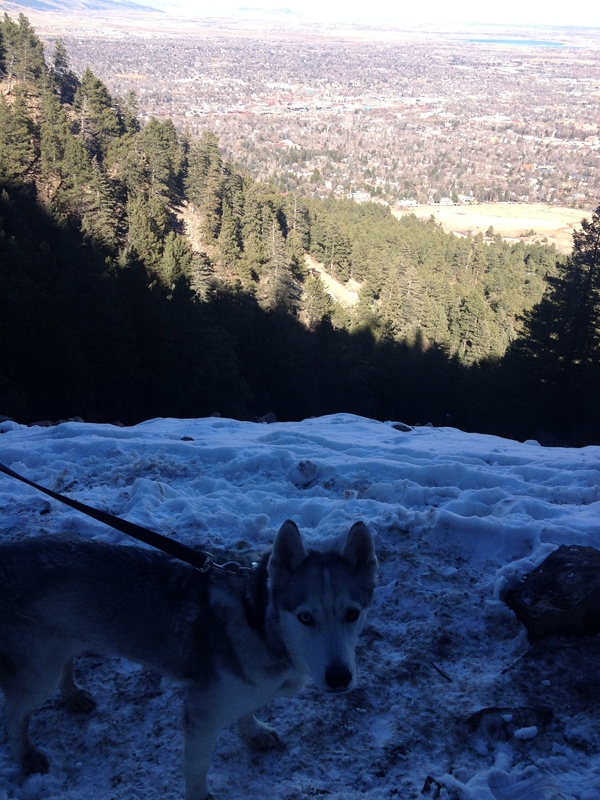 And, with frequent spells of warmer weather, it is quite possible to find a day, even during the peak part of ski season, where it is possible to just take a hike in the woods (that is, if you can handle hiking over a little bit of snow). It is a story repeated in many different places throughout the country. In any place where you have large amounts of visitors, many other activities and events, often catering to all different kinds of people, pop up in response. This is why we see tons of miniature golf courses, boat tours, and even night clubs pop up in places like Orlando, “Down-East Maine”, and the Wisconsin Dells. In each case, a primary draw (like water parks, or ocean front) brings people to the region, and then the other amenities follow. However, in many of these places, the area has become quite congested with people. Those who have either sat in traffic, or spent a small fortune on strips such as International Drive in Orlando, or the Smoky Mountain Parkway in Pigeon Forge, will refer to places like these as “tourist traps”. But are these places “tourist traps”? It is, after all, quite easy to spend a small fortune in Vail right after sitting in major traffic on I-70 to get there. However, despite the similarities between the “tourist traps” of the East and the mountain resorts of the West, there are still some major differences, with the primary one being the balance between natural and man-made attractions. Theme parks such as Disney World and Six Flags are completely the creation of humans. And, although we have lifts to carry us up the mountains, and a nice pool to cover the Hot Springs, the main attractions here are still the natural features that first brought us here. So, until a roller coaster pops up adjacent to Park City, mini-golf courses start to line South Lake Tahoe, and Dillon Reservoir becomes covered with bumper boats, the mountain west has not become a “tourist trap”, at least not in the same way as the “tourist” traps had developed in these other places. With that being said, it is still important to remember that there is way more to wintertime in the Rockies than skiing and snowboarding. And, while there are some visitors who do little else but ski on their visits to the mountains at this time of year (spending most of their remaining time in their condo), there are others that take part in a lot of other activities and attractions in the area. This entry was posted in California, Colorado, Skiing, tourism, Utah, winter activities, Wyoming and tagged ski resorts, ski towns, the west, tourism, tourist activities, vacations, winter, winter activities, winter sports, winter vacations on February 15, 2015 by Stephen Jaye. 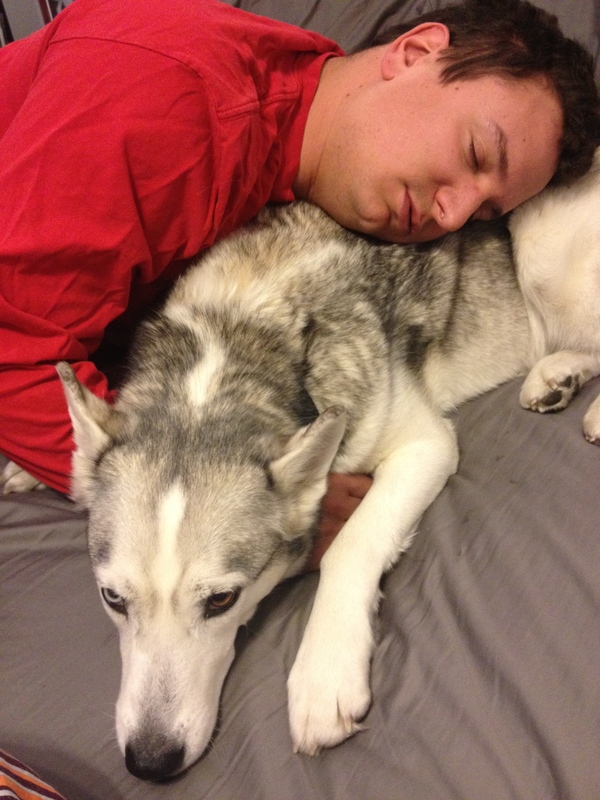 It’s a day we all experience at some point in the winter season- some of us more than others. A thick layer of low clouds blanket the sky in a manner that states in no uncertain terms that you will not be experiencing a single ray of sunshine for the entire day. Temperatures hover somewhere in the 30s. There is a cold, damp feeling to everything that makes anyone outside feel as if some kind of very light precipitation is falling. But, nobody can really tell. In fact, not only are we unsure whether precipitation is actually falling, we are not even sure what type of precipitation (rain, snow, other) we believe might be falling. And, to be honest, it really doesn’t matter. Because, the mood is already set, and that is one of a persistent cold, damp, and raw. It is as if the world around you is telling you that you that today is going to be more subdued than most. That today will not be the day you go on some kind of life changing adventure, achieve something major, or even make significant progress towards something. There is a half a century old folk song whose lyrics go something like “a time for war, a time for peace, a time to laugh, a time to cry”. I am not really 100% certain what they actually say in the song, but I know the entire song kind of discusses the cycles and sub-cycles of life in that sort of manner. And, it advocates the recognition that certain actions, activities, emotions, etc. have their time and place, regardless of which ones we prefer, which ones we enjoy, or which ones we feel are more beneficial. I have always been one to periodically look for ways to get the maximum utility out of one of the most precious resources we all have- time. Implied in many initiatives we take to better our lives, including the goals I made for 2015 at the start of the month, is a better use of our time, commonly in the form of trying to select in favor of behaviors we consider a good use of our time and against behaviors that we consider a poor use of our time. However, one thing I often fail to consider is that not every minute of every day can be spent doing something that we feel is significant. Just as the cycles of life often take us to the next exciting adventures in our lives, the cycles of life will also tell us when it is time to slow down and recharge our batteries. And, although I consider myself to be in the top quartile for energy levels in my age group, even those of us with high energy levels can run into times when it is depleted. A time to rage, a time to mellow. Sometimes it is hard for an energetic person to realize that the time to “mellow” has come. For energetic people, this portion of the cycle of life can be frustrating, and, during down-times, I often find myself restlessly looking at bike routes and new travel destinations to consider in the near future. 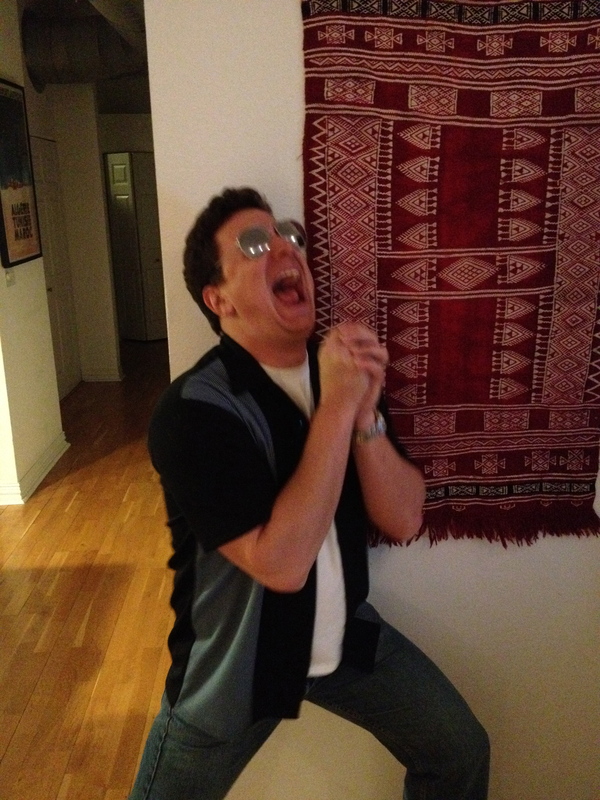 However, this particular weekend, the time had come in no uncertain terms. And, the weather, so raw, cold, and lifeless, only reinforces this fact. It amplifies the mood. Emotion and anxiety is a much more significant energy drain than many people realize. In fact, I have found that at times emotions and anxiety can drain energy far more efficiently than strenuous physical and/or mental work. There are plenty of times I remember bicycling 50+ miles, staying out partying well past midnight, or working hard to meet some kind of deadline, and still having an energy level the next day fairly close to normal. However, I do recall several recent scenarios where drama, uncertainty, or allowing that part of your brain that worries about all things that can go wrong to stress me out about something have made me quite sleepy. Along with the dull weather pattern, multiple emotional events over the past few weeks contributed to my need to take a weekend to recharge. 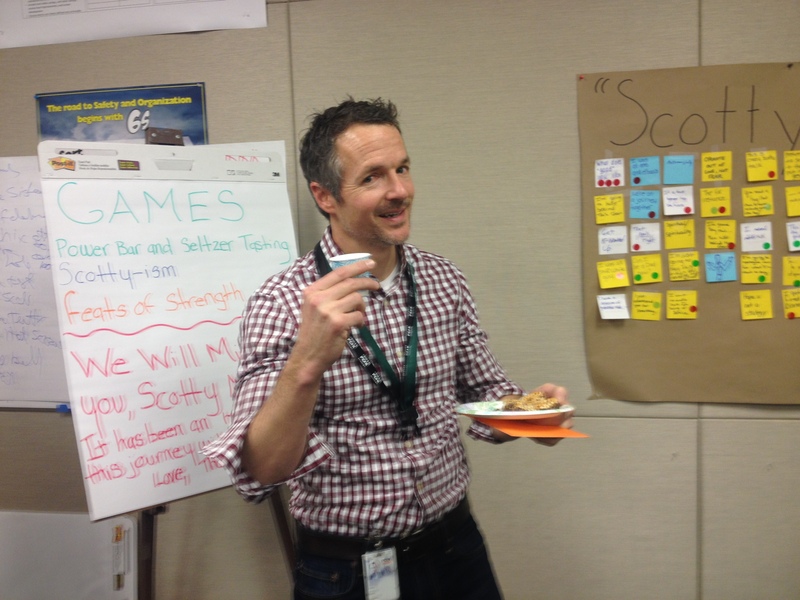 One of the hardest things to do is to say goodbye to a boss that you actually enjoy working for. Two weeks ago, I found out that my supervisor, the man who hired me, has believed in me every step of the way, and genuinely respects me and my ideas, is departing. This is hard to find in the workplace. Work is not typically the most exciting thing people do in their lives. There is a reason that movies rarely show a person manipulating data in a spreadsheet. And, there is a reason I write a travel blog and not a work blog. I’ve even seen some people that achieve the dream job they had set out to do from a young age, and still get burned out on it. But, with good people around you and a good environment, the time that we spend at work can periodically be enjoyable and fulfilling, which is the most we can really ask for. This weekend, I am not just anxious about the uncertainty that comes with any change, but I am genuinely sad to see the man go. And, while it is tough for an adventure-seeking extrovert like me to swallow a weekend of resting, and focusing on other areas of my life, there is a time for my focuses to remain within a 5 mile radius of home, and that time is now. I am certain that 2015 will produce some amazing adventures, some of which I already have planned and look forward to. But for now, all I can do is appreciate the opportunities I have received and do my best to make sure I continue advancing my career forwards without giving up on the most precious resource I have- who I am. This entry was posted in Home, lifestyles, psychology, seasons, weather, work and tagged anxiety, life cycles, resting, weather, winter, work on January 31, 2015 by Stephen Jaye.